It's not very often that a real-time strategy title earns a midnight launch, but toss the word Halo in there and GameStop sits up and listens. GameStop is inviting Halo fans to "bring out their inner Warthog" during Halo Wars midnight launch events, held at more than 2,000 locations across the U.S. this coming Monday, March 2nd. While I cannot begin to imagine why they would want you to bring out your inner futuristic military dune buggy, I'm sure they meant it in a nice way. 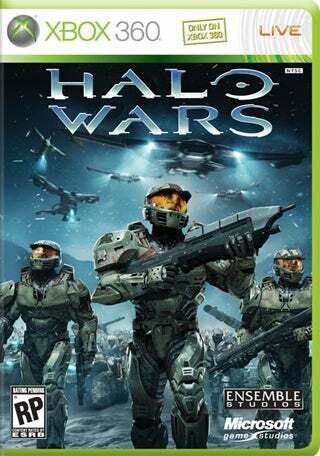 The company is throwing out all the stops for the launch of the next game in the Halo series, with Halo 3 tournaments, dress-up contests, trivia challenges, and Warthog races going on from 10pm to midnight, when a much smaller crowd then they are expecting line up to get their copies of the game. It's not that I am hating on the game or anything. From what I've heard it's not too bad. It's just there's only one company I know of that puts out real-time strategy titles customers are going to line up at midnight for, and StarCraft II is a ways off. Still, if you can't wait til Tuesday afternoon, check out GameStop's launch page to see if you don't have to.